Grapes: 60% Merlot, 40% Cabernet Sauvignon. Provenance: at the foot of the hills of Castagneto Carducci, along the Bolgheri Wine Road, Bolgheri (Livorno). Soil: middle hard clayey soil with gravely structure. Age of the vineyard: 10 years old. Vinification and Maturing: pure vinification (every single type of grape). Alcoholic fermentation in stainless steel tanks at a controlled temperature of 79-82ºF. Maceration for 12 days with only natural yeast. Malolactic fermentation and ageing in second use barriques. Refining: 12 months in bottle. 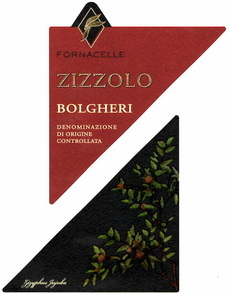 Organoleptic characteristics: the color is ruby-red, bright and fruity aromas with notes of flowers and herbs. The taste is fresh with round tannins and a delicious aftertaste. Serve with: White and red meats, pasta dishes and cheese.